A delicious and healthier version of Spicy Peanut Chicken. Mix all ingredients together and reserve half for additional dipping. 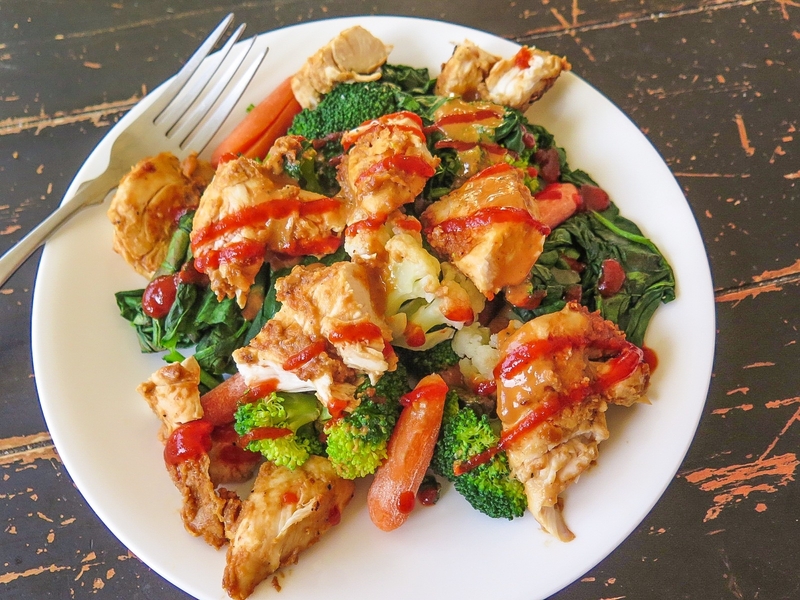 Using one portion of the sauce saute small pieces of chicken with fresh vegetables until chicken is fully cooked. Portion out into 4-6 servings and use reserved half of sauce for extra dipping.